Nilay Singh and Ankur Singh, from Patna, Bihar have created a social networking website all on their own. 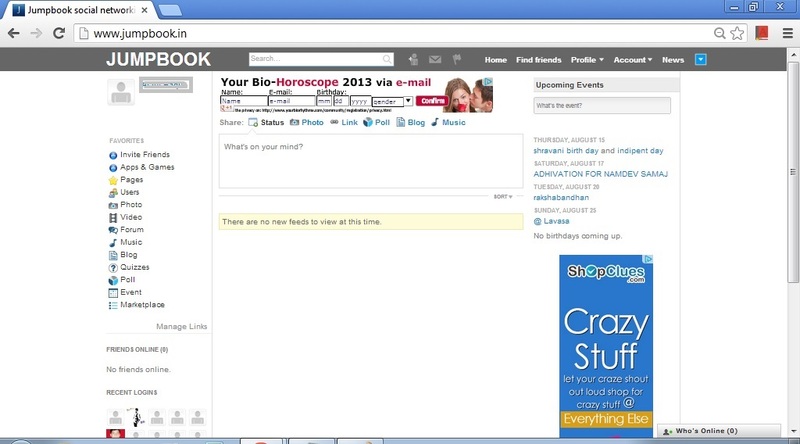 The social networking website "Jumpbook.in" is unique in a sense that it sync the three most popular internet vibes namely the 'Blogs', 'E-commerce', and Forums. 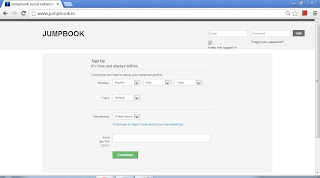 The Jumpbook has tried to cover all the aspects and all the needs of users, for which they come to internet. This makes Jumpbook Jump three leaps ahead of other popular social networking website in a single step. Who is the creator of Jumpbook.in? Jumpbook.in took around 7 years to get completed. The two brothers who dropped some ordinary colleges because of financial problems and also due to low level of education provided at those institues had to struggle for their sustenance and for their dream to give an alternative to the most popular social networking website Facebook.com. The two brothers used to develop websites and used to sell them to customers. They were earning by developing and selling websites and in the meanwhile were developing their own social networking website Jumbpook. At last they completed their website on 16th April 2013 and launched the same, the site has now around 22,000 active users in just 4 months of time. The two brothers lost their father very early, their father late Dr Mahesh Singh, used to work at Bharat Cooking Coal Ltd. in Dhanbad, and their mother Bimla Singh, is a homemaker. Out of the two brothers Ankur didn't complete his education and got involved into developing websites to earn the livelihood while the other, Nilay continued with the course and finished his graduation this year 2013. According to Singh brothers, they are technically not equipped enough to handle too many users at a time, as the server often crashes due to heavy traffic. So, they need help from the local govt that is CM of Bihar, Nitish Kumar. The Singh brothers said, they need around 25 lakh as infrastructure and maintenance cost to develop and maintain their social networking website. Fill the basic details on these two SignUp pages and you are done with the SignUp and you will be redirected to the Profile Page of yours on Jumpbook.